Tweezers – Small Pointed Forceps 16cm ideal for inserting wadding into a hand made Teddy Bear. Tweezers – Small Pointed Forceps 16cm ideal for inserting wadding into a hand made Teddy Bear. Ideal size for use when making a Mini Bear or small Teddy Bear. 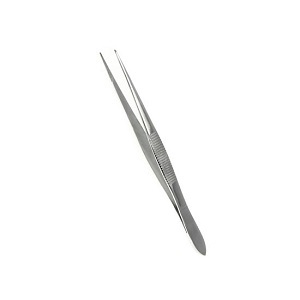 The small Pointed Forceps Tweezers enable you to be able to place a piece of wadding exactly where you require it when you are stuffing a body joint ensuring an even finish. Lavender and Rose 4 inch Teddy Bear Pattern is for a couple of little cuties, small enough to carry in your pocket. They are fully jointed and made from short pile Mohair. They also have some lead shot in their tummies to make them sit. Great little companions in the workplace. The Lavender and Rose 4 inch Teddy Bear Pattern is suitable for a Beginner to the more experienced Bear makers and suitable for short pile Mohair or Paw Pad Fabrics.